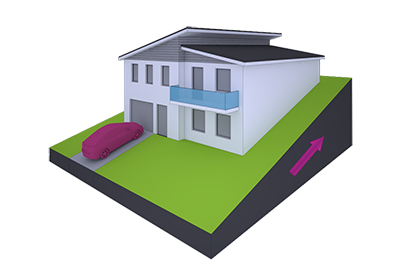 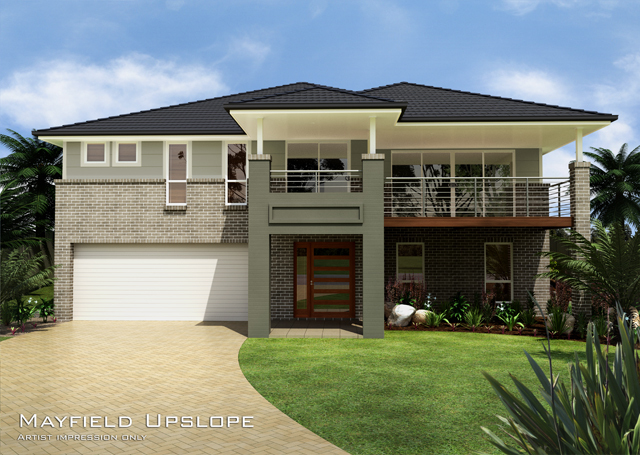 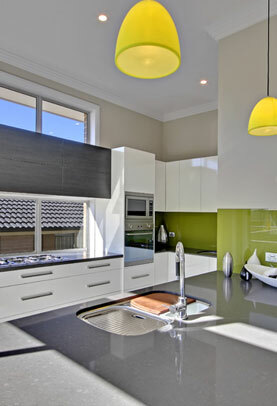 Our Mayfield Design has been created to accommodate, Upsloping home sites of approximately 1in4-5m Gradient. 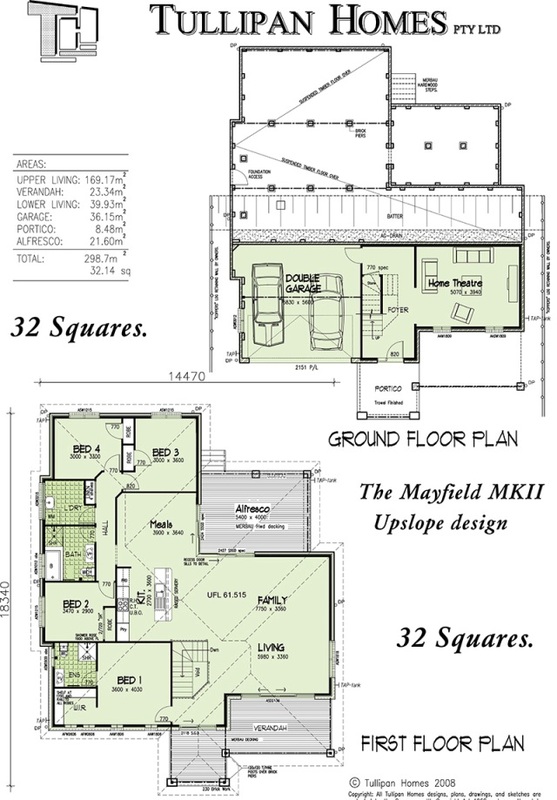 The Mayfield-Display includes everything a large family could require, all intelligently arranged into a total of 32 Squares. 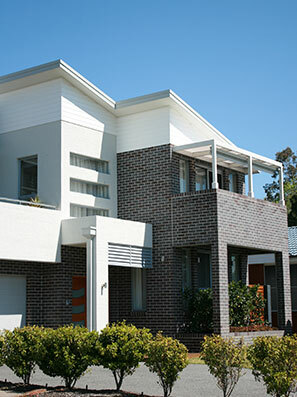 The design incorporates open plan living with immediate access to the front and rear via covered outdoor Verandah & Alfresco.